You may need Air Conditioning Repair sooner then later because here in Texas, our weather varies widely. Your HVAC and Air Conditioning units play a big role in keeping you cool through the heat of the summer and keeping you warm through the bitter cold winter. Over time, they can begin to show signs of wear and tear, so it’s important to ensure that these units are in perfect working condition by having maintenance checks. After all, nobody wants the A/C to break down on a boiling summer day. A unit that isn’t looked after will not last as long – it could potentially need repairs, or worse, an entire replacement. 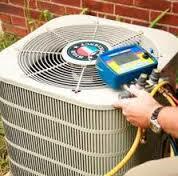 At our company, we can provide anything from an air conditioning service to an HVAC repair. Our HVAC contractors are highly skilled and professional. They have the experience and the know-how to take on any job no matter what make or model your unit is. Whether it’s an HVAC service or an old air conditioner repair, our contractors will not let you down. Our aim is to get the job done efficiently and to the highest of standards – we promise never to make you spend more money than you need to. We are dedicated to making sure your home is a comfortable living temperature all through the year. If your HVAC or AC unit breaks down in the middle of December or half way through March, we always respond to your calls promptly and one of our fully qualified Air Conditioning Technicians will be out in no time to provide the service. Our technicians are experts in what they do. If you think you need an A/C repair, get in touch with us, we are always happy to help. Air conditioning repair for non-professionals will look pretty confusing and daunting, but for our licensed and competent technicians, it’s like tying shoelaces! We try our best to replace broken components within the units, rather than installing an entirely new replacement unit. We’ll make sure to get your AC or HVAC unit working properly again as fast as possible. When it comes to air conditioners, there are several different types and many different brands. We can help you with choosing an air conditioning or HVAC unit that is best suited to your home and a getting you a good deal that won’t be breaking the bank. 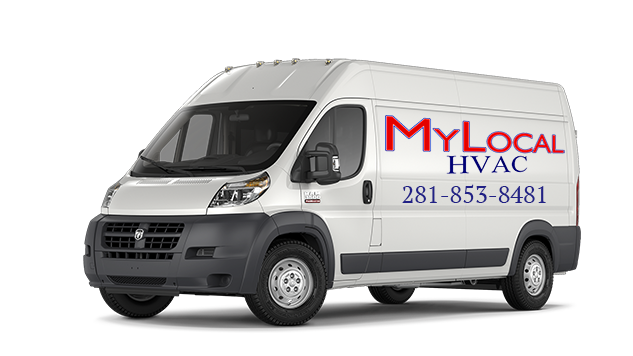 We make sure to provide you with the best quality AC and HVAC units. Whether you need an air conditioning service or HVAC repair in Katy, we will always provide you with a service we can be proud of. Maintenance is essential to ensure that your HVAC or AC is working to its full capability, and there are no problems going on with the components inside the unit. Your unit should have regular maintenance checks, as skipping them can cause damage to your unit. Over time, you may need a whole new one installed, when Air Conditioning Repair is not enough any more, which can cost you a lot of money. An air conditioning or HVAC unit, if looked after correctly, can last you up to 10 years or more. Not having regular maintenance checks means your AC or HVAC could be using up a lot more energy than it needs to. It’s always best to get a fully qualified and trained Air Conditioning Professional to do regular maintenance checks on your unit, as they know what they are looking out for. Get in contact with us today if you think your unit is in need of a maintenance check.